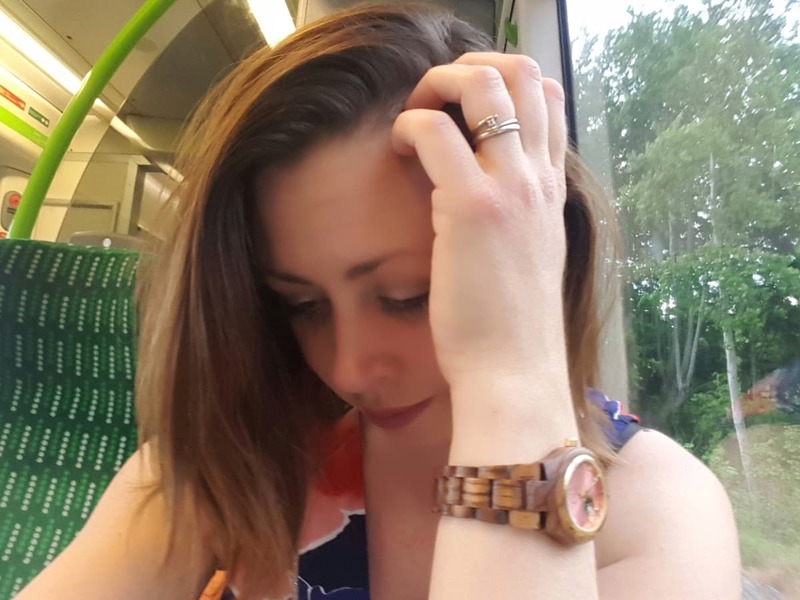 A few weeks ago, I wrote about the fact that I want to create my own makeup from natural ingredients. As with everything, time is my biggest enemy. But today, I managed to find the time to make some pretty amazing things. But the story about what I made doesn’t start here. In fact, it starts some years ago. In 2008, my (now) husband and I headed off to travel around New Zealand. During our trip, we went to visit my cousin who lives over there. We had a brilliant night in the pub with my cousin and her friends, during which we made plans to go horse riding the next day. As is usual on (pre-kids) holidays, we drank a bit too much during the evening. Despite this, we were still determined to make the most of the opportunity for a gallop across the beach the next day. On the way to the stables, we stopped at a shop for some drinks. Hubby and I grabbed a smoothie because we couldn’t face breakfast. After drinking it, all trace of a hangover disappeared. The smoothie contained spirulina. To this day, I swear it’s the best hangover cure available. Unfortunately, whenever I’ve tried to make my own smoothies with spirulina, they look and taste like pond water. Not ideal when you’re hung over. So, I made a smoothie. I used half a teaspoon of spirulina, a banana, some fresh and frozen berries, honey and – crucially – a couple of teaspoons of beetroot powder. For the first time ever, my spirulina smoothie tasted and looked great. It was deep pink instead of boggy green. And I immediately felt better. 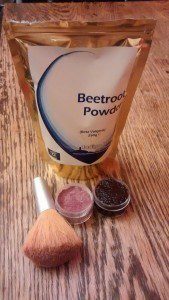 So, inspired by the gorgeous colour of the smoothie, I set to work this evening with my beetroot powder. The first thing I made was a tinted lip balm. 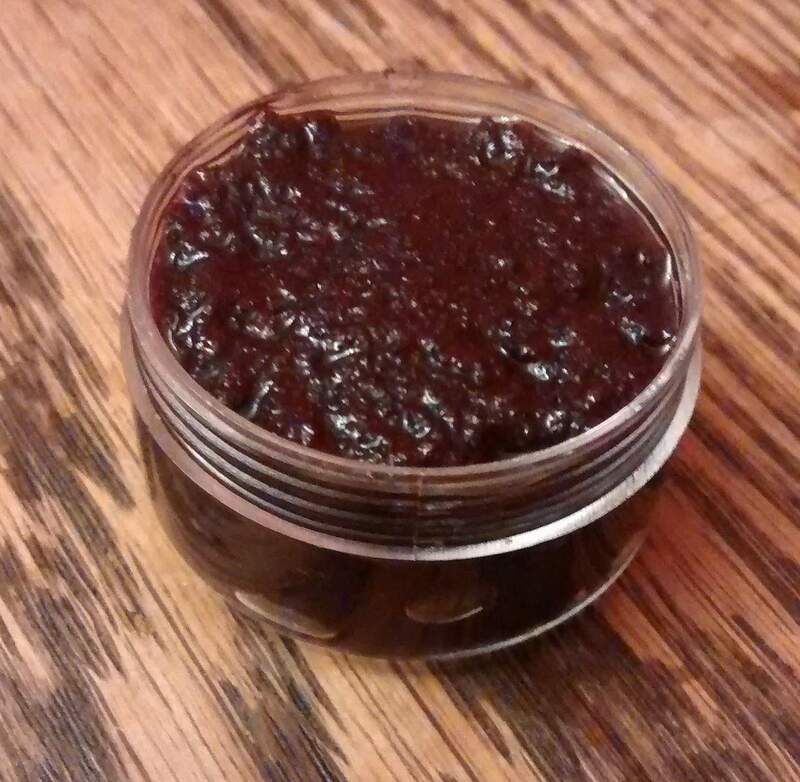 I used a dessert spoonful each of coconut butter, cacao butter and aloe vera gel. I heated these on an incredibly low heat for just a few seconds until they turned to liquid. I then took them straight off the heat and poured them into a mug to stir. 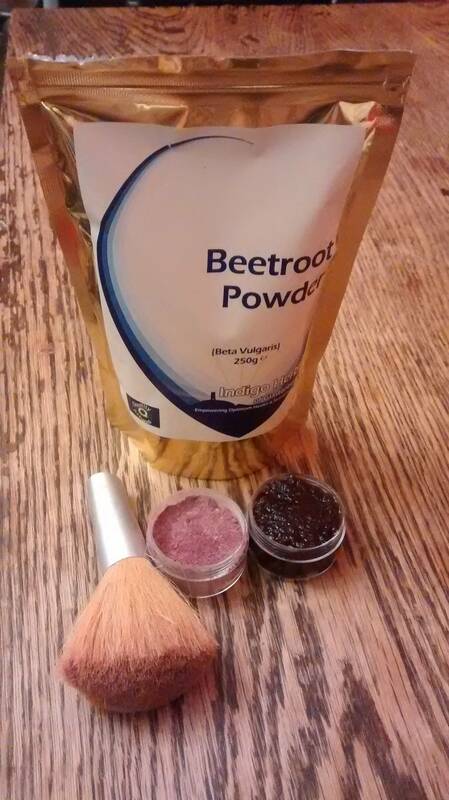 I then added half a teaspoon of ground arrowroot, a pinch of bentonite clay and a teaspoon of beetroot powder. I stirred them together as they cooled. They went quite lumpy and I was worried that it was going to be a disaster. Mercifully, they combined nicely and I popped them in a little pot. After a few minutes in the fridge, the mixture went to a perfect lip balm consistency. The colour of this is beautiful. It also leaves a hint of a shine and is incredibly moisturising. And best of all, it’s totally natural and ethical. 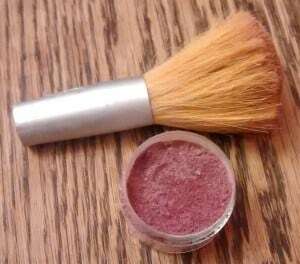 Next, I made some blusher. Ground arrowroot was my base. That’s totally white in colour, so I added a tiny pinch of cocoa powder to give it a little bit of depth. I then added about the same amount of beetroot powder as ground arrowroot to give it colour. The great thing about making it yourself is that the colour you end up with is totally down to you. It goes without saying that for more intense colour, you need more of the beetroot. 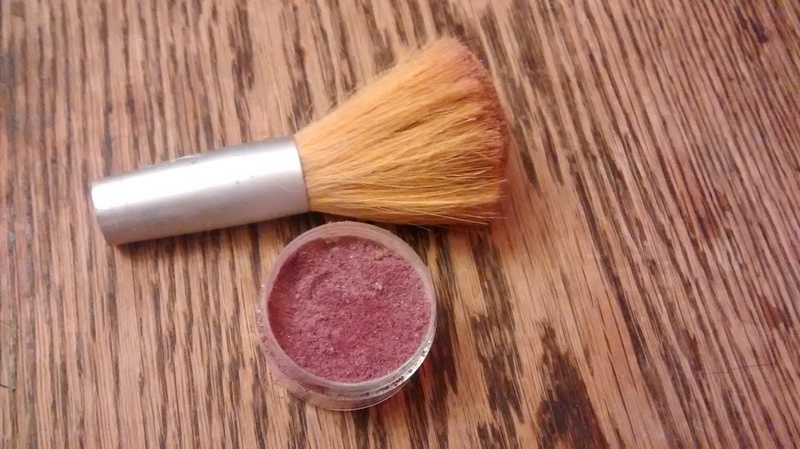 This goes on quite nicely with my (approximately 20 year old) powder brush although the beetroot powder is slightly more coarse than you will be use to with commercial cosmetics. 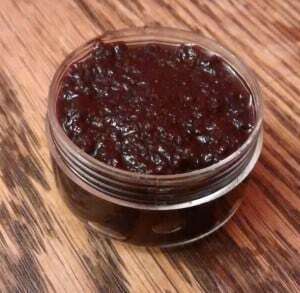 So there we have it, my first attempt at making my own skin products. I’m really pleased with the results and can’t wait to get on and make some more. Please note, Indigo Herbs were kind enough to provide me with some of the ingredients for this post. All views, opinions, hangover cures and fabulous, natural makeup are my own. It is also worthy of note that I genuinely have no idea how long these things will last or whether they should be kept in the fridge. 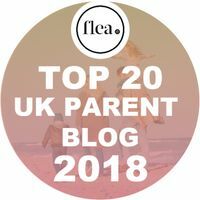 I’ll update this post if my products go a bit stinky any time soon. Please do let me know if you make any cosmetics products, I’ll definitely be making some more in the near future so I’m searching for some inspiration! Wow, that’s amazing! Really impressed that you’ve managed to do it. Will be interested to read how well it survives.